According to Ellen MacArthur, a British record-breaking sailor who has been exploring the ocean all her life. Now, the woman who received the honorary title 'Dame' of the British Empire was warned that by 2050 the sea will be found more plastic than fish. It can be prevented origin of industry and community clean up and not dispose of plastics carelessly. 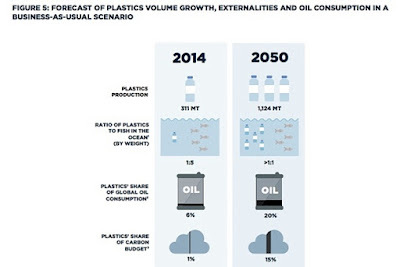 According to reports from the foundation he founded (Ellen MacArthur Foundation) issued at the World Economic Forum on Tuesday, January 19, 2016, plastics consumption reached 20 per cent higher than the oil industry in the next 35 years. 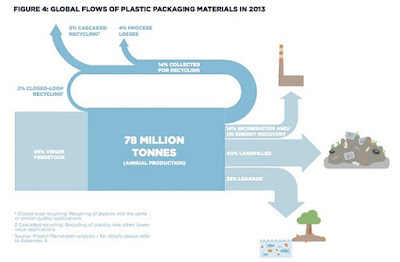 The plastic production increased by 20-fold since 1964. In 2014, production reached 311 million tons. That number will double in the next 20 years and increase fourfold by 2050. On one side of the plastic demand increases, but only 5 percent of that could be recycled. While 40 percent should end up in landfills or in the ocean. The rest was burned but in the process spent a lot of fossil fuel. "At least 8 million tons of plastic found in the ocean, it is equal to 1 truck loaded the plastic waste and dumped its cargo into the sea every minute," the report said as quoted by The Guardian on Wednesday, January 20, 2016. "If no action is taken soon, will increase two trucks per minute in 2030 and four trucks per minute in 2050," the report continued. "If counted, in the oceans will be 1 ton of plastic for every three tons of fish in 2025, and in 2050 will be more plastic than fish." 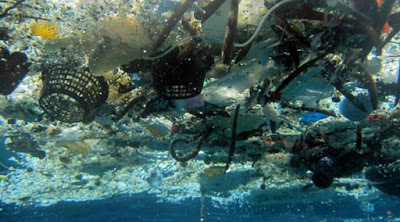 A recycled plastic can be decomposed in the ocean, especially in warm water, but the process of liberation of toxic chemicals can be ingested by fish and will end up in the human food chain. The same report also been released in the last year in which more than 5 million tons of plastic waste floating in the sea. Flakes larger plastic endanger ecosystems terumata turtles and seals that could swallow it. The researchers also found that small fragments of plastic on the seabed. So far the impact of their whereabouts unknown. The report also said that the plastics manufacturing industry failing to save the ocean's ecosystem. For the solution of this issue is clearly not easy. Especially for the industry which is under pressure due to high demand. Meanwhile bioplastics are considered more expensive. MacArthur said that the use of plastic reforms should be immediately carried out. Not only the industry, but the government and the public also contribute. 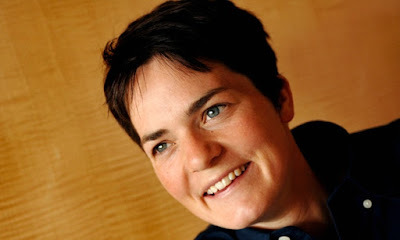 "They produce because there is a demand. So, demand or consumers should think twice as much in the use of plastic and set in law by the government."